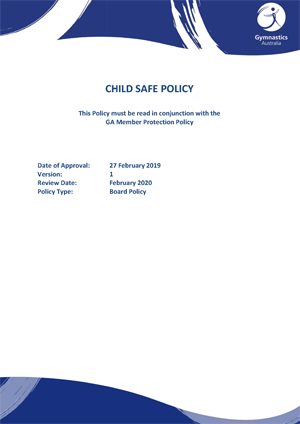 Policy Information - "Quick Links"
Every club affiliated with Gymnastics Australia in 2019 will receive two Child Safe Posters. 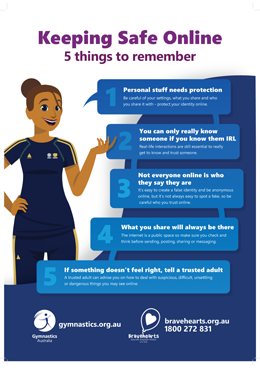 These posters are for clubs to display in an area that will be easily viewed by members and parents. 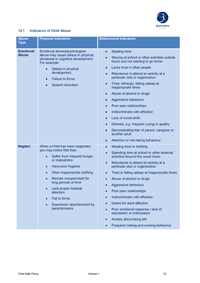 Please contact Gymnastics Australia if your club has not received the child safe posters. 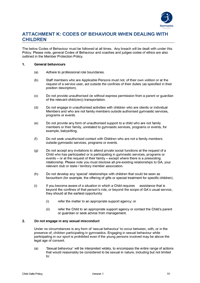 For further information click on the links above. 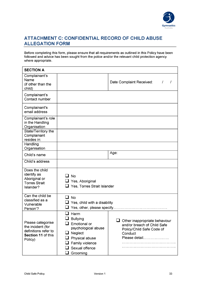 All online coaching and judging courses are being reviewed by Bravehearts and additional child safety information is being incorporated from Intermediate to Advance Accreditations. 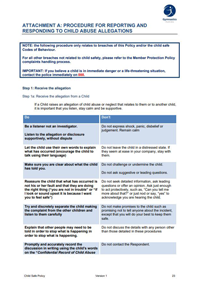 This content will assist in providing greater knowledge of child safety for coaches and judges. Courses are available via Gymnastics Australia's Online Learning Management System (LMS). Every parent of a child (under 18yrs) who is a Gymnastics Australia member will receive a Parents and Carers Guide which includes vital personal safety messages for children and young people. 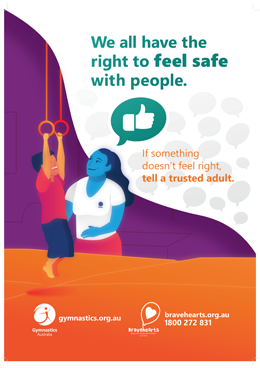 This Parent and Carers Guide was created by Gymnastics Australia in partnership with Bravehearts as part of a continuing commitment to make child safety a priority across all gymnastics clubs in Australia. The Parent and Carers Guide also contains a ‘tear-off’ bookmark for each child. 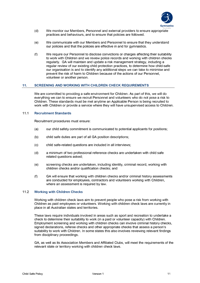 If your club has not received the Parent and Carers Guide please contact Gymnastics Australia.